With the electrical version of the Dahlia radiator a new era is upon us. Nowadays alternative energy sources also get more interest next to the traditional hydraulic heating. 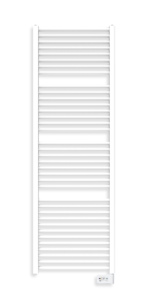 The Dahlia E is Stelrad’s answer to this evolution. A radiator that’s always ready, in every season… always convenient in the bathroom. 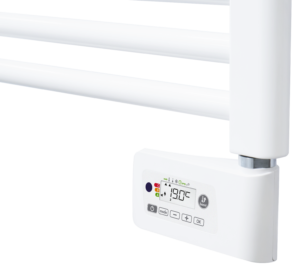 Whether you want to preheat a towel, or heat the room to an enjoyable temperature, you can always rely on the Dahlia E.
Dahlia E, a smart heat source! The Dahlia E radiator is fully programmable and even shuts down when a window is opened, making it very energy-efficient. Its intelligent control unit ensures it complies with the new and strict EcoDesign regulation, which is valid since January 2018.